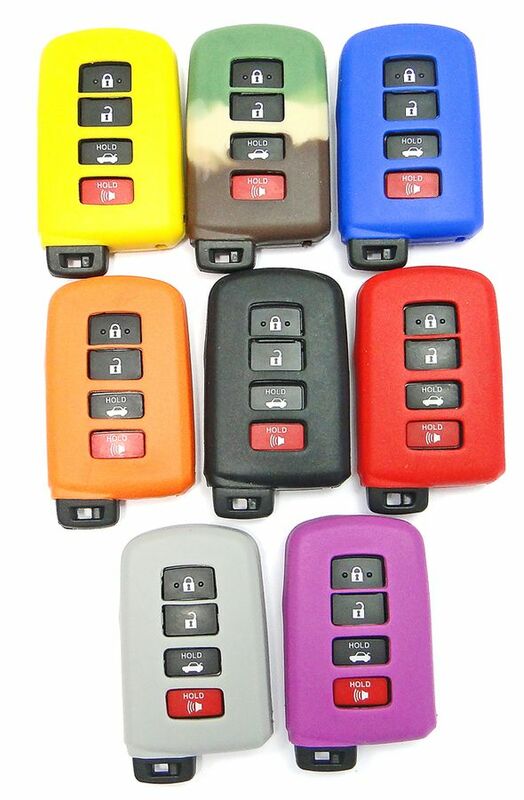 Toyota Smart Key Keyless Entry Remote Rubber cover. Silicone remote cover is a great way to protect and personalize your keyless entry remote. Smart remotes are very expensive to replace. Protect your remote against damage. These covers slip over your remote. Just take off your key ring, slip the cover over your remote and put the key ring back. This is a remote cover only, remote is not included. This product offers a simple solution to protect, distinguish, and prevent broken & scratched up car & truck remotes. Added features of this product include: damage prevention, replacement costs, accidental engagement of control functions, ability to reattach a broken remote, and personalization through a variety of colors.